The Veil Brewing Double Chocolate Hornswoggler, the latest variant in the brewery’s highly sought after dessert beer series, debuts on June 20th. French Vanilla, Coconut, Oreo Cookie, and Peanut Butter Oreos aren’t just tasty desserts. It describes the magically delicious lineup known as The Veil Brewing’s Hornswoggler. This release started as a smooth milk stout with chocolate. Since then, it’s gotten more and more eccentric. A bit like that guy and his chocolate factory. Double Chocolate Hornswoggler has been aged on hundreds of pounds of milk chocolate, plus a random mix of actual candy bars. (Some bars containing nuts.) Thanks to the extra sugar transferred to the beer, keep this cold, and drink fresh. Don’t waste it by cellaring it. Creamy, velvety, scrumdiddlyumptious chocolate river of a stout. The Veil Brewing Double Chocolate Hornswoggler will be available in 16 ounce cans when the brewery opens on June 20th. You’ve heard of comfort food. Meet comfort beer. Back Forty Peanut Butter Porter is easily one of of the best can designs we’ve seen in 2016. The Gadsden, Alabama based brewery took a porter and aged it on roasted peanuts. They call it comfort food. It really is comfort beer. You see, it’s not easy to brew with anything fatty or oily. Oil destroys the surface tension of bubbles. No bubbles means flat beer. Execution and nuance is key. It’s creamy, it’s big, it’s just what it sounds like. Brewed with crushed peanuts and a malt bill thick enough to slather on some bread, Peanut Butter Porter belongs on your grocery list right next to the jelly, bananas & bacon. Back Forty Peanut Butter Porter is a little sweeter than other peanut butter beers out there, which we think is a good thing. It’s a freaking 10.5% alcohol by volume porter with a nutty peanut butter finish. While it’s not just like eating a peanut butter sandwich, it’s definitely not just a beer either. There is truth in the name: Peanut Butter Porter. Plus A-MAZING packaging. Back Forty Peanut Butter Porter is available now in 12 ounce cans. Don’t worry, there’s no crusts here. Flying Dog Brewery (Frederick, MD) is working on a new cookie inspired beer series. The brewery looks to be teaming up with Baltimore based Otterbein’s Bakery to create offerings like Flying Dog Roasted Peanut Brown Ale. The mixed pack, (which looks to contain various cookie themed brews) are all to be paired with the bakery’s cookies. 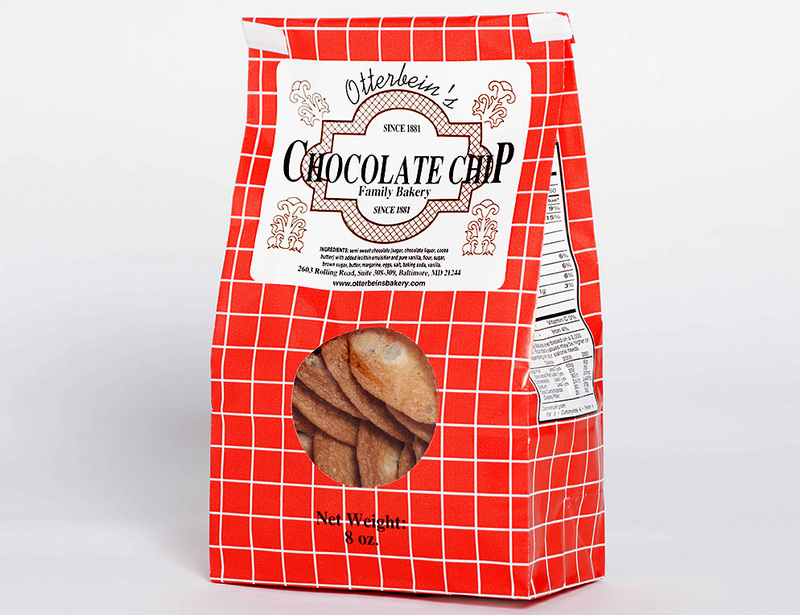 A Baltimore mainstay since 1881, the Otterbien’s cookie recipes have ben passed down among five generations. Flying Dog is Maryland’s largest craft brewery and has been part of the U.S. craft beer revolution for 25 years. Each of the beers in this package were brewed exclusively Marylanders by Marylanders. Happy Holidays to you and yours. Flying Dog Roasted Peanut Brown Ale will be a 12oz bottle release, in a mixed pack. A Maryland release only. More details to follow.